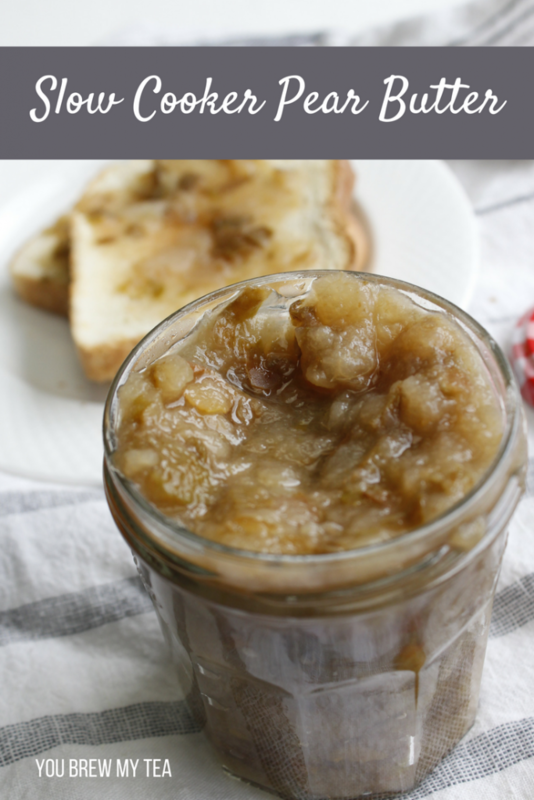 Slow Cooker Pear Butter is a great zero point treat for Weight Watchers. I have totally fallen in love with this way of cooking down fruits to make my own homemade jams, butter, and spreads. There is no need for added sugars when you have great fruit for flavor and natural sweetness. This post contains affiliate links. I earn a small commission on purchases made through those links. 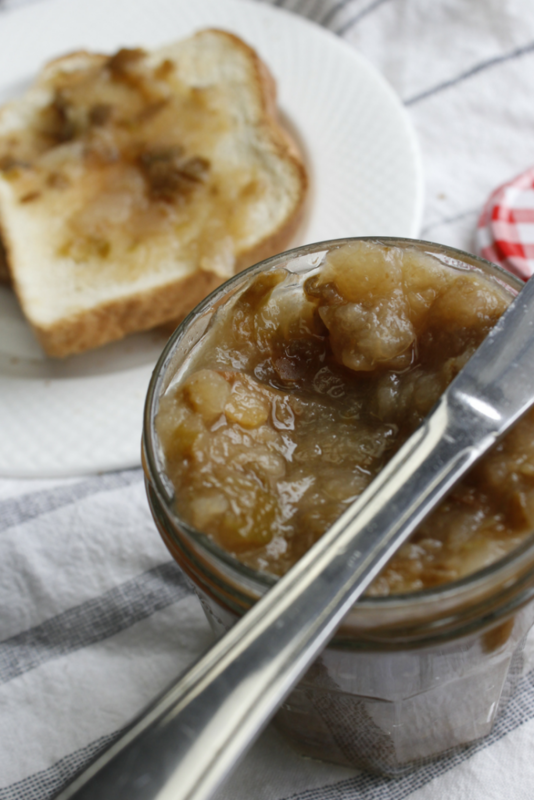 I use a 6-quart slow cooker to make this slow cooker pear butter. You don’t need that large of a slow cooker, but I find the heat in this one is more consistent than the smaller options I have on hand. Also, while I don’t peel my pears for this, many prefer to peal their fruit before cooking. If so, I love this vegetable peeler for comfortably handling and thin slices of the skin. Cover and cook on low heat for 6 hours. You may open to stir occasionally if desired. If chunks remain, you can use an immersion blender to puree or leave as is for a thicker pear butter. 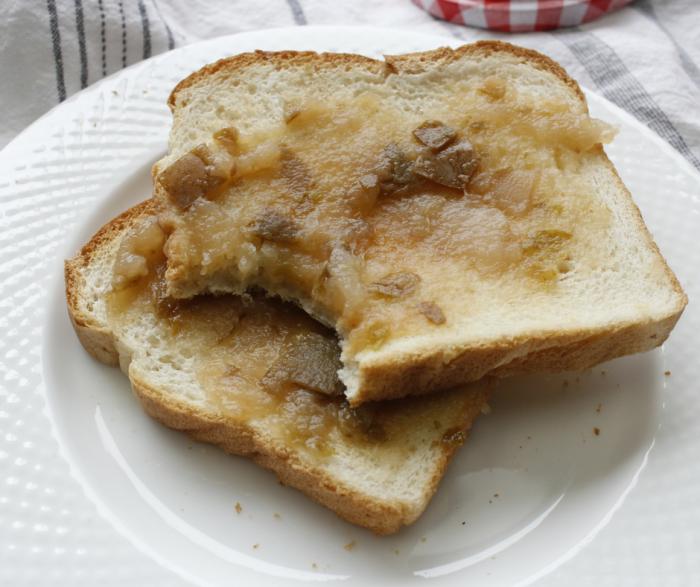 This slow cooker pear butter is a favorite easy recipe to make. It is simple to make, and of course, adds a perfect sweet treat to your day. A zero point option to spread over toast, or to mix into yogurt. It’s a great way to make something healthy and natural to add to your day that satisfies that sweet craving. While it may not look pretty, the flavor will win you over!